An excellent opportunity for investment – 6400 sq. m. of agricultural land within the city of Bourgas. LOCATION: The seaside city of Bourgas is situated in Southeastern Bulgaria and it is the administrative centre of Bourgas Municipality, Bourgas District. Bourgas is the second largest city on the Bulgarian Black Sea Coast and the most important economic, cultural and tourist centre in Southern Bulgaria. After Sofia, the coastal city of Bourgas has the second biggest airport in the country. 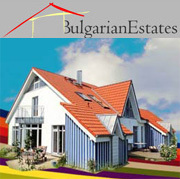 Bourgas lies along the bay of the same name, where the greatest port in Bulgaria is situated. The three lakes of Mandrensko, Atanasovsko and Bourgasko form a unique with its biodiversity, seaside complex of ornithological significance as Via Pontika, one of the main ways of the European migratory birds, goes through the area. The Mineral Baths of Bourgas, whose water has proved healing properties, is 18 km away from the city. The Seafront Garden is the local people and tourists' favourite place for walking. Some cultural events take place annually in Bourgas. The National Competition of Popular Song, called Bourgas and the Sea, International Folklore Festival and the Week of the Children's Art, International Tournament of Sports Dances, and etc. PROPERTY DESCRIPTION: Our terrific offer is a 6400-sq. m. plot of agricultural land, situated along a main road and within1 km of the Quarter of Lozovo, Bourgas. There is water and electricity supply 30 metres away from the site. The terrain is smooth. An industrial building is set nearby. 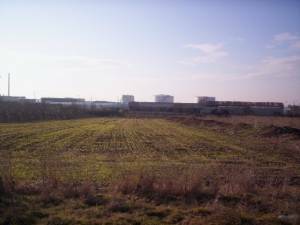 The land hasn't gained planning permission yet but its status could be easily changed. 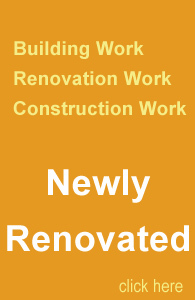 Our team of professional builders is on hand to you for any construction work.